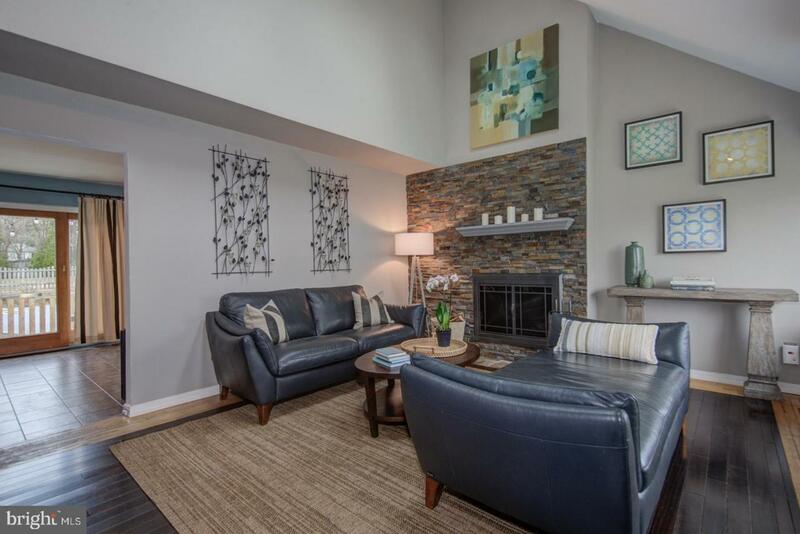 Move-in ready with high-quality finishes, low taxes, and priced to sell! 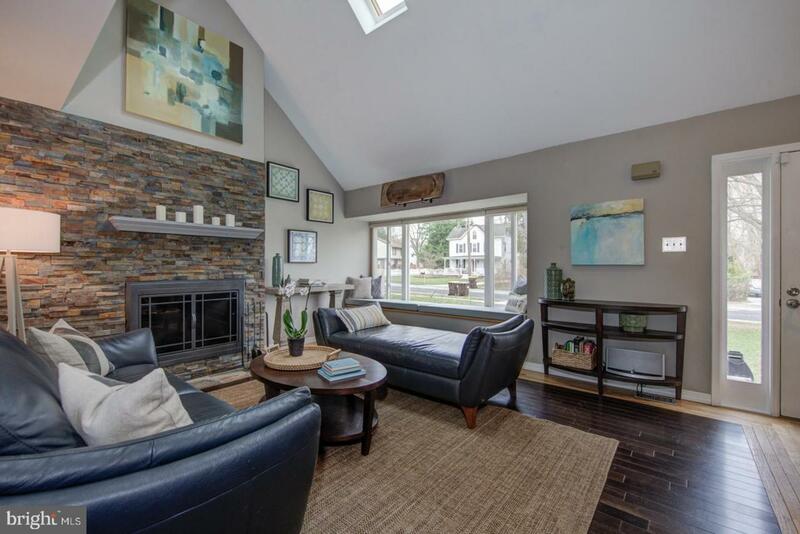 Just minutes from both downtown Wayne and all the amenities at King of Prussia Town Center, you~ll find this stunning contemporary on a cul-de-sac, offering 3 bedrooms, 2 full bathrooms, 2-car front entry garage, gorgeous remodeled in-ground swimming pool, and a finished basement. 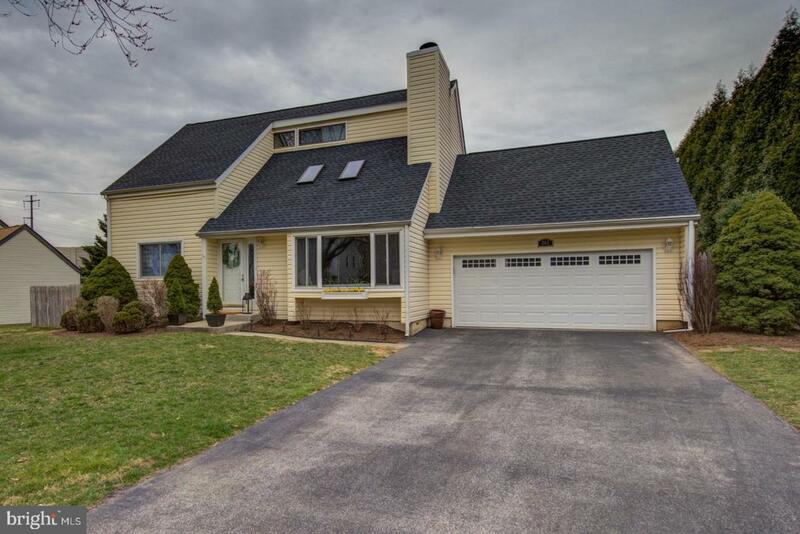 The front door opens to the sun-drenched living room with vaulted ceiling, wood burning fireplace with stacked stone surround, skylights, new hardwood floor, and a charming bay window with a cushioned window seat. The recently renovated gourmet kitchen features handsome white cabinetry, granite countertops, stainless steel appliances (including new French door refrigerator), tile backsplash, a breakfast bar overhang, and two sizable pantries. A spacious dining area, with a slider to the rear patio and access to the garage, adjoins the kitchen, creating a large open space for entertaining. A cozy den with hardwood floors and an aged-wood shiplap accent wall sits across the hall from the kitchen. Completing the first floor is an updated full hall bathroom. Upstairs you~ll find the second full bathroom: a fully-remodeled spa like space with floor to ceiling tile, double vanity with marble counter, and a generous walk-in shower with tall glass doors and a corner bench. All three bedrooms boast amble closet space, with the master featuring a large, walk-in closet designed by California Closets. The finished basement has a large entertaining area, with custom built-ins for media components, separate spaces for laundry, and plenty of additional storage. Other recent improvements include: new roof, complete pool remodel with new, easy-to-use safety tension pool cover, newer HVAC and hot water heater, new tile floors through most of main level, new windows, fixtures, ceiling fans, and paint. The level rear lot is fully fenced, and with its fire pit, steel gazebo, and mature landscaping offering privacy, will be your summer oasis! A second wood fence encloses the pool itself for maximum safety. 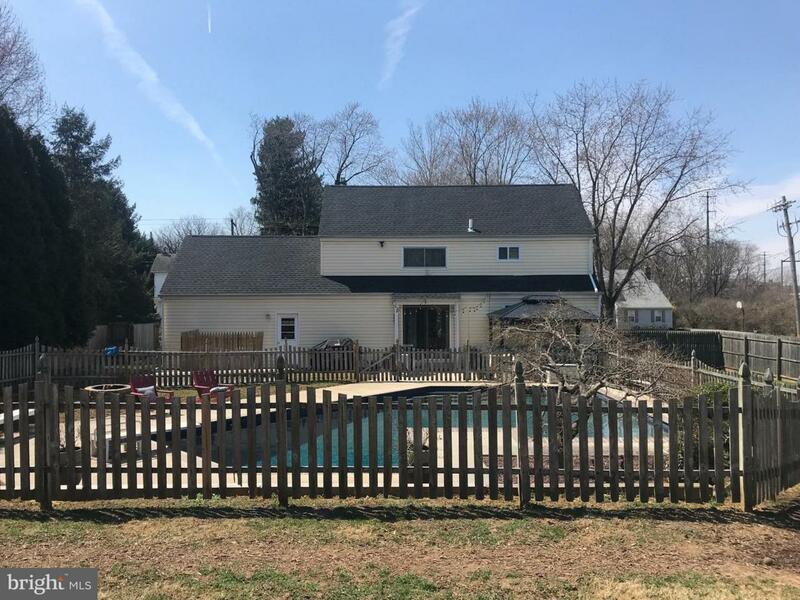 This property is convenient to all major commuter routes, King of Prussia Town Center, Lifetime Fitness, shopping, dining, and everything the Main Line has to offer!